How a LITTLE BOY WITH CANCER taught his Dad a BETTER WAY TO MARKET! Hi, Mark Holloway here. This is the story of how my son taught me these COMMON SENSE ways to increase sales for small to medium businesses just like yours. My two sons. 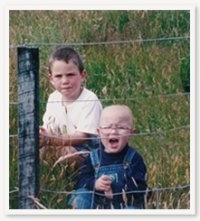 Ashford (right), who was dying of cancer and Jackson (left) who agreed to donate his bone marrow to save his brothers life. Thirty years ago I was young. I was in marketing. And I had too high an opinion of myself. I was hell-bent on producing clever brand marketing. My work was winning advertising and marketing awards, and I was having a grand old time. And although the marketing I made for my clients created lots of awareness, it generated very few sales. I didn’t know it then, but that is typical of all brand advertising – it makes people aware, but almost never sells anything. Unfortunately ‘clever’ young marketing people would rather skid about on the irrelevant surface of ‘creative brilliance’ than do the hard work needed to get sales from marketing. I am ashamed to admit that I was one of them. Then overnight I learned a lesson that changed my business life. My two-year-old son was diagnosed with Leukaemia. Suddenly I was catapulted into the world of hospitals, blood transfusions, chemotherapy and bone marrow transplants. A friend suggested I try a marketing campaign to ask people to pray for my son. This isn't a religious story but rather a marketing one and I was desperate enough to give anything a go. I realised that I would only have one shot at this – the marketing for my little boy had to work! I also realised that creating ‘awareness’ was not going to cut it, I didn’t want people ‘aware’ that little Ashford was sick, I wanted them to do something about it! Just like you want people to act when they see or hear your marketing. I made up my mind that I would try and make this marketing so effective that even atheists would pray. This horrible situation with my little boy led me to try a style of marketing that has helped hundreds of small businesses in the years since then. I thought back to the lessons taught me by my first boss, the incredibly successful multi-millionaire Barry Coleman. Barry discovered early in his business that if an ad was to work it needed to tell a strong selling story, it needed long copy, long headlines, lots of words, and a strong call to action. So I discarded my normal clever brand marketing and wrote a series of marketing pieces that told a long and persuasive story. Persuasive enough to get to people who had never entered a church in their lives. The marketing worked. One Sunday we had 20,000 people around the world praying for our little boy. Our little boy’s story ends in the best possible way. Ashford’s brother Jackson, then just five years old, gave him a bone marrow transplant and now, 16 years later, Ashford is a healthy, intelligent teenager. Because I put my son first, hundreds of NZ businesses are now enjoying marketing that helps them grow their sales. After my son’s transplant I went back to work having learned a huge lesson. I could no longer look my clients in the eye and feel happy producing brand marketing for them. Hundreds of small to medium businesses were desperate for what I was offering. Results were at the top of their agenda. They had to have sales! As a result, we have been able to help many, many small to medium businesses grow. We call this our special growth-focused service a MARKETING CONSULTANCY. 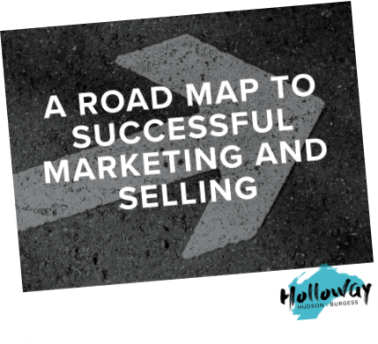 Your Holloway Marketing Consultant serves as both business coach and marketing manager, but for much less than you would normally pay those people. I’m excited by the results our Marketing Consultants are getting for their clients – the results just get better and better.